Royal Dutch Shell (RDS-A, RDS-B) is one of the largest integrated energy firms in the world, with a strong and diversified portfolio of development projects that offer attractive long-term opportunities. The company’s decision to acquire BG Group, the United Kingdom’s third-largest energy player, for $70 billion is a huge positive. This is because Shell will be able to boost its oil and gas reserves by almost 25% and will benefit from BG Group’s big natural gas projects throughout the world. However, the oil price slump has affected Shell’s earnings and cash flows, in particular at its upstream unit. Moreover, Shell’s American Depository Receipts (ADRs) are expected to remain soft due to its major natural gas focus and lofty capital spending. Royal Dutch Shell divides its operations into three major segments: Upstream, Downstream, and Corporate. The group’s Upstream business finds and extracts crude oil and natural gas, often in joint ventures with international and national oil companies. This segment accounted for the major portion (approximately 72%) of Royal Dutch Shell’s 2014 earnings. 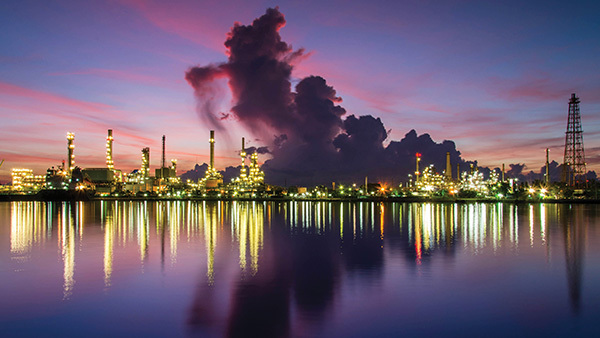 The Downstream unit processes crude oil into a slew of refined products, which are moved and marketed worldwide for domestic, industrial and transport use. The Corporate segment covers the key support functions, comprising holdings and treasury, headquarters, central functions and Shell insurance companies. In 2014, Royal Dutch Shell’s oil and gas production (including oil sands) averaged 3.080 million oil-equivalent barrels per day (MMBOE/d), of which 48% was liquid. As of year-end 2014, the group had approximately 13.1 billion oil-equivalent barrels per day (BBOE/d) in proved reserves and a combined refining capacity of approximately 3.3 million barrels per day (MMBbls/d), of which roughly 40% is located in Europe and Africa, 35% in the Americas and 25% in Asia and Oceania. On July 1, 2015, Royal Dutch Shell PLC announced its decision to proceed with the Gulf of Mexico (GoM) based Appomattox deepwater project, although the business scenario looks challenging with crude prices still at low levels. Per the company, the development will likely be operational by the end of this decade. The project includes the installation and construction of a floating platform in the GoM. Initially, the platform will produce oil and gas from the Appomattox and Vicksburg fields. Shell estimates peak per-day production capacity from the project at roughly 175,000 barrels of oil equivalent (BOE), not too far from the company’s total 2014 GoM daily output of 225,000 BOE. Investors should note that this development is the eighth and the largest deepwater platform [operated] by the company in the GoM. The company added that its improved design techniques, savings in the supply chain and a lesser number of required wells for upstream operations have helped it in reducing the project cost by 20%. Royal Dutch Shell’s proposed acquisition of BG Group should enhance the group’s free-cash-flow profile in almost any oil price environment and adds further scale in both liquefied natural gas (LNG) and deep water Brazil. Yet with the planned closing of the deal not until early 2016, it is important that the stand-alone Shell business continues to deliver on CEO Ben Van Beurden’s drive to improve efficiency. Encouragingly, the group announced a further reduction in capital expenditures with its Q2 results and for the first time provided a numerical indication of the cost savings it expects to achieve for its own business in 2015. Shell is no exception to the squeeze in cash flow that the industry is experiencing, but it perhaps has more levers than most to pull to withstand the downturn. We see the investment case for Royal Dutch Shell as compelling, and we rate the stock Overweight with a 2850 British Pence (p) per share price target. RDS outlined the positive steps that it is taking to respond to what could be a prolonged period of lower oil prices. This includes a near 10% reduction in capital expenditure to $30 billion compared to the figure of “less than $33 billion” in April. On operating costs, the company highlighted that it expects to reduce operating expenses by $4 billion in 2015 with more to come in 2016. We estimate that in [the first half of 2015] group operating expenses were down $3 billion year-over-year, and although this is likely helped by favorable foreign exchange moves, it does suggest that Shell’s guidance could prove conservative. Southwest Gas (SWX) of Las Vegas, Nevada, is a natural gas utility serving 1.9 million customers in geographically diverse portions of Arizona (AZ; 1.0 million, or 54%), Nevada (NV; 688,000, or 36%), and California (CA; 185,000, or 10%). Centuri Construction is a full-service underground piping contractor. The gas utility business contributed 79% of 2014 earnings, and Centuri … contributed 19%. On Aug. 5, 2015, SWX reported second quarter earnings of $0.10 per share versus $0.21 per share last year. Lower results reflect no second quarter 2015 corporate-owned life insurance (COLI) income versus a $0.05 per share benefit last year, as well as declines in both the natural gas utility segment and the construction services segment. The utility business lost $0.01 per share compared to earnings of $0.04 per share last year, as higher depreciation expense and higher Arizona property taxes more than offset the positive impacts of lower interest expense, the addition of 28,000 customers and modest rate increases for the CA jurisdiction and Paiute Pipeline. The construction services business earned $0.12 per share compared to $0.17 per share last year, despite a $70 million increase in revenue (including $37.9 million from acquisitions). Lower earnings reflect $68.2 million ($38.2 million from acquisitions) in higher operating expenses …, an additional $2 million loss reserve associated with the problematic Canadian industrial project and higher depreciation and interest expenses. Utility earnings will benefit from a June 2014 Californian Public Utilities Commission (CPUC) general case award of $7.1 million, which includes annual attrition or step increases in January 2015 and January 2016. In addition, SWX continues to optimize its pipeline replacement programs in Arizona and Nevada. Further, SWX’s Paiute Pipeline implemented a $2.4 million annual rate increase effective September 2014. The company is also awaiting final approval of its plans to expand the Elko County Federal Energy Regulatory Commission (FERC) regulated pipeline ($35 million; in service November 2015). In December of 2014, the Arizona Corporation Commission (ACC) authorized SWX to construct a $55 million, 230,000 decatherm (dth) LNG storage facility. SWX plans to file an important Arizona rate case in 2016, with the earliest potential filing date of May 1, 2016. Over 2015-2017, SWX plans gas utility investment of $1.3 billion, including $445 million in 2015, which is comprised of $136 million for growth projects, $178 million for franchise and other replacements, $63 million for general plant investments and $23 million of projects covered by trackers. We continue to recommend investors purchase shares of SWX, given solid gas utility growth and further improvements in the construction services business, as pipeline replacement programs across the nation continue to be accelerated. Further, once the integration of the Link-Line acquisition is completed and management gains better insight into the growth prospects for the pipeline replacement business, we believe management will consider value creating alternatives for the business including a partial IPO, spin-off or sale of the business. SWX said the previously discussed a $1 billion revenue target for Centuri remains its threshold for potentially monetizing the business, implying it could begin to consider strategic options in 2016. In 2015, management remains focused on growing and integrating Centuri and to realize its true earnings power. Management will continue to look at Centuri M&A opportunities, citing potential interest in tuck-in acquisitions that would expand its business into new markets (geographies). We view an acquisition of comparable magnitude to Link Line’s as unlikely in the near to medium term. At Natural Gas, management is close to completing due diligence on the land purchase for its planned $55 million LNG storage facility in AZ and recently entered into a contract for the project’s engineering and design work. It continues to expect construction completion by year-end 2017. We view SWX’s current relative valuation as reasonable, as we expect slightly below average utility earnings growth from SWX over 2015-2016, while we expect SWX will derive 20-25% of 2014-2016 earnings from its pipeline construction and maintenance business. SWX’s current dividend yield of 2.9% compares to its gas utility peers’ average of 3.6% and its diversified utility peers’ average of 3.7%.